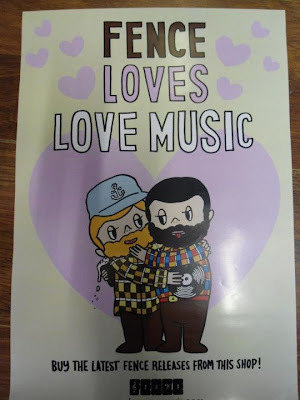 I recently designed a poster for Fence, paying cheeky homage to Kim Grove's Love Is.. 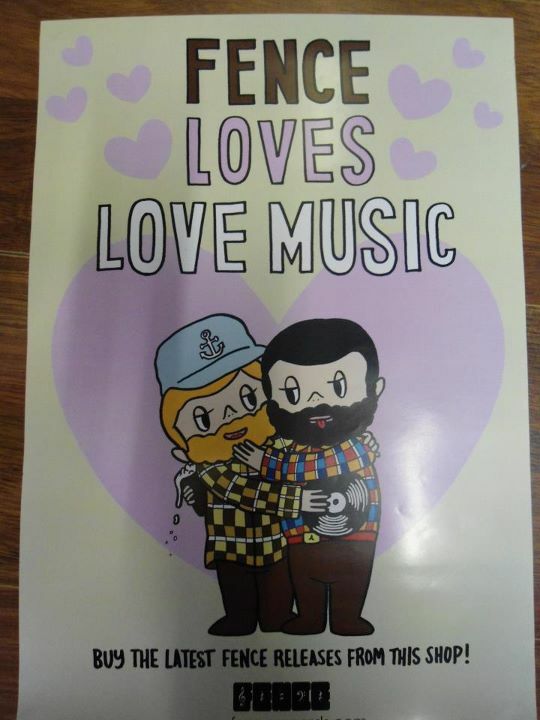 These are being sent to independent record stores which order Fence stock, with each one personalised to the shop in question. Spreading the love! 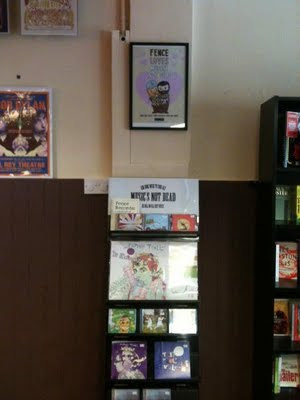 The photo above is swiped from the Facebook page of Glasgow's Love Music, and the one below is from Fence's Facebook page, showing a magnificent display in Music's Not Dead, a new shop in Bexhill-on-Sea. If you'd like a closer look at the poster, then please make your way to your nearest quality record shop! Avalanche, Monorail, Norman*, Unknown Pleasures, and One Up should also have them.. and if you're lucky you might manage to pick up one of the Fence Autumn catalogues, featuring a highly desirable nerd-ready checklist of every Fence release to date (which is a lot of releases!). * Don't really try to visit Norman, it's only in the internet!